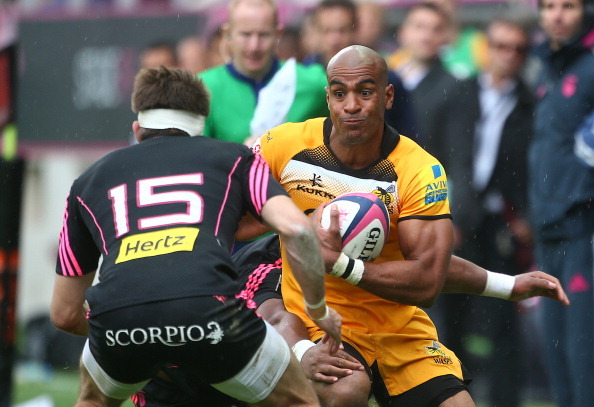 The Heineken Cup and Amlin Challenge Cup finals provided their share of shining lights and sorry sights this weekend. How could Jonny Wilkinson not be the number one Saint this week? England’s ultimate hero – and world rugby’s most magnificent role model – played his last game on British soil and led his Toulon team to a 23-6 win over a strong and talented Saracens side in the Heineken Cup final at the Millennium Stadium. Wilkinson contributed 13 points – two penalties, two conversions and a right-footed drop-goal like the one which changed his life – which amounted to a 100% kicking record on the day and went a long way towards ensuring Toulon kept Saracens at arms’ length. It was great to see the Cardiff crowd, drawn as it was from clubs all around Europe, give the No 10 a standing ovation as he left the pitch with a couple of minutes of the game to go. They also applauded and cheered when his image appeared on the stadium’s big screens thereafter. Always reserved, too often lost in his own self-critical thoughts, this time Jonny looked truly delighted as he lifted the cup and celebrated with his team-mates, his wife Shelley and his parents, Philippa and Phil. He has just one more game to play, the Top 14 final on Saturday, 31 May. Catch him while you can. A legend is about to hang up his boots. His Twitter name is @MagicSteffo7 and although he had the No 8 on his back during the Heineken Cup final, Steffon Armitage still lived up to his own star billing, putting in a magnificent performance for Toulon and playing a major part in their 23-6 victory. Armitage won the Man of the Match award, in recognition of his fantastic work at the breakdown. He won four turnovers, made 11 tackles and had the time and energy for 15 carries too. The fact that he plays his club rugby in France is the only thing standing between him and a place in the England back row, but Stuart Lancaster may yet decide he can’t afford to overlook Armitage any longer. Only one point down after the away leg of their European Rugby Champions Cup qualifying play-off against London Wasps, Stade Francais must have really fancied their chances of claiming the coveted place in next season’s top tier European cup competition. 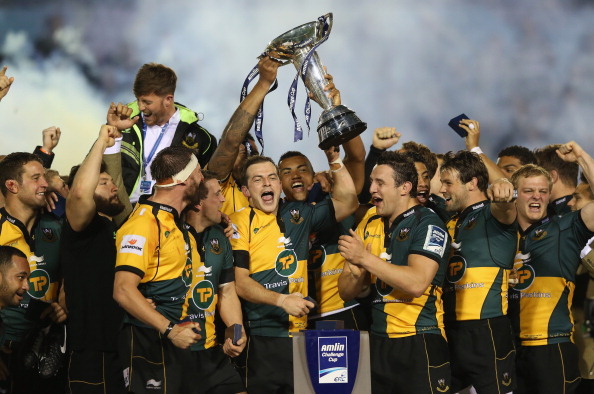 However, they reckoned without the coaching genius of Wasps boss Dai Young. He identified the important areas that his team needed to improve from the previous weekend, got the tactics spot on and had Stade so rattled that they were throwing passes into touch and making a host of basic errors. The ability to keep cool and produce the goods in the biggest of matches is a quality every club likes to see in their fly-half and place-kicker and Stephen Myler proved he has it in spades this weekend as he piloted Northampton Saints to a 30-16 win over Bath in the Amlin Challenge Cup final. Myler landed six place kicks out of seven, turned defence into attack with a timely interception which led to a try for Ben Foden, and pulled the strings for his team. He was overshadowed in the first half-hour by a perfect performance from George Ford, but as the Bath man wilted in the second half, Myler came to the fore and was deservedly named Man of the Match. Japan qualified for Rugby World Cup 2015 and a hat-trick from Yoshikazu Fujita helped book their ticket to the game’s greatest showpiece. They beat Hong Kong 49-8 to secure the Asian Five Nations Championship, scoring eight tries in front of a 40,000 crowd at the National Stadium in Tokyo. Fujita, 20, has scored 19 tries in his 16 Tests to date, including six on debut against UAE in 2012, so a hat-trick could almost qualify as a routine day in the Brave Blossoms kit for him. Japan will take their place in World Cup Pool B with 1995 and 2007 winners South Africa, Samoa, Scotland and USA. Oh dear Bryan Habana. What were you thinking? If your career path takes you from South Africa to France to Hollywood, then good luck to you, but please don’t try out your acting skills on the rugby pitch. The Toulon wing found his way blocked by Owen Farrell during the Heineken Cup final. Farrell did his best to pull out of what he knew would be an illegal collision, but still caught Habana and the South African threw his arms in the air and fell backwards like he had been shot with an elephant gun. Luckily, referee Alain Rolland was wise to his unsporting antics and while he awarded a penalty to Toulon for Farrell’s challenge, he also had a word with Habana about making the most of the situation. The crowd at the Millennium Stadium showed their displeasure by booing Habana when he went up to get his winner’s medal. Diving, acting, exaggerating – call it what you will. 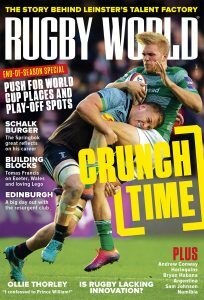 Rugby doesn’t need it. 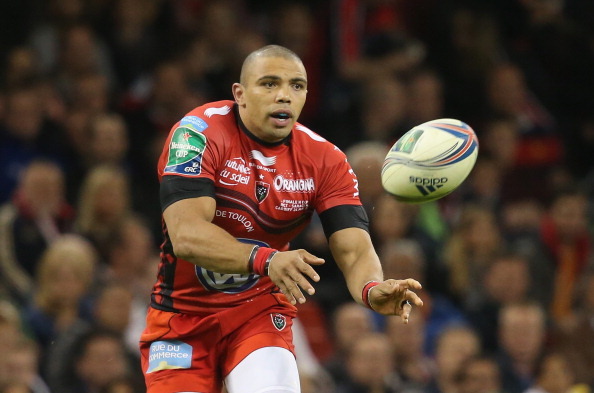 Even players who are named after footballers, like Habana, don’t need to behave like one! Thankfully, the Springbok had the grace to apologise via Twitter, saying: “Apologies in every way and to the whole community for what happened in the Heineken Cup final yesterday. It was in no way intended with malice or to bring the game into disrepute. Sorry George, I know you were among the Sinners a couple of weeks ago and I really don’t mean to pick on you, but three consecutive penalty misses in a major final plus other miistakes which cost 11 points, really does not add up to a good day at the office. The young Bath fly-half started the Amlin Challenge Cup final in the best of form, kicking a penalty from his own half and putting on a masterful display of kicking out of hand. By the 35th minute he had kicked eight of Bath’s points, helping them to a 13-6 lead, but then Ford’s wheels came off. Bath would have been in command at 21-9 up by the 50th minute if he hadn’t missed three consecutive penalties, but instead Northampton took the lead for the first time when Ford’s decision to counter-attack from his own 22 led to a Saints penalty which Stephen Myler kicked to make it 15-13. That became 18-13 when Ford and Nick Abendanon got in each other’s way and gave away an attacking scrum which in turn led to another penalty for Myler. Inside the last ten minutes, with Northampton 25-16 up, a Ford pass was intercepted by Myler and his break resulted in a try for Ben Foden. Place-kickers carry a huge burden of responsibility, as it’s their job to turn pressure into points. In a major final it is crucial to take any chance you get and unfortunately, after a superb first 35 minutes, Ford’s game went to pieces and cost Bath any chance of lifting the Amlin Challenge Cup. I have no doubt Ford will have plenty of days when he is the match-winning hero for Bath and England, but this was a day to forget. During Wasps’ European play-off clash with Stade Francais, prop Phil Swainston told referee Nigel Owens he had been gouged. Owens asked the TMO to look at the incident, but mysteriously the French host broadcaster could only produce footage from one angle, which did not show the right group of players. Owens waited a few minutes for the usual multitude of different camera angles to be shown, but none were forthcoming. So, with Wasps leading 10-6, the possibility of Stade having a player sent off evaporated and the match continued. Suspicions that the TV company didn’t want to show footage which might have been damning to a Stade player increased when, just a few minutes later, they were quick enough to find the replays of a knock-on which ruled out a possible try for Tom Varndell. Whether it was a fault with the technology or a deliberate case of obstruction, it was unsatisfactory to have no pictures to prove or disprove an allegation as serious as gouging in a game as big as this one.